If you've read my articles here on the site before, it should come as no surprise that I really enjoy the simpler moments in life in a way that is innately hard to explain. There's joy in the simplistic nature of moments at times and while that seems so incredibly vague, I'm a firm proponent of the fact that the smallest moments during your Walt Disney World vacation are the ones that truly stick with you for years on end. It's not the big ticket attractions, but rather those little unexpected moments that you end up telling stories about and sharing memories as a result of for years on end. I may sound like a broken record, but some of my greatest memories in life have been a direct result of some of these simple items included on our list today. Before we dive into it, I do realize that this type of activity during vacation isn't going to be for everyone. 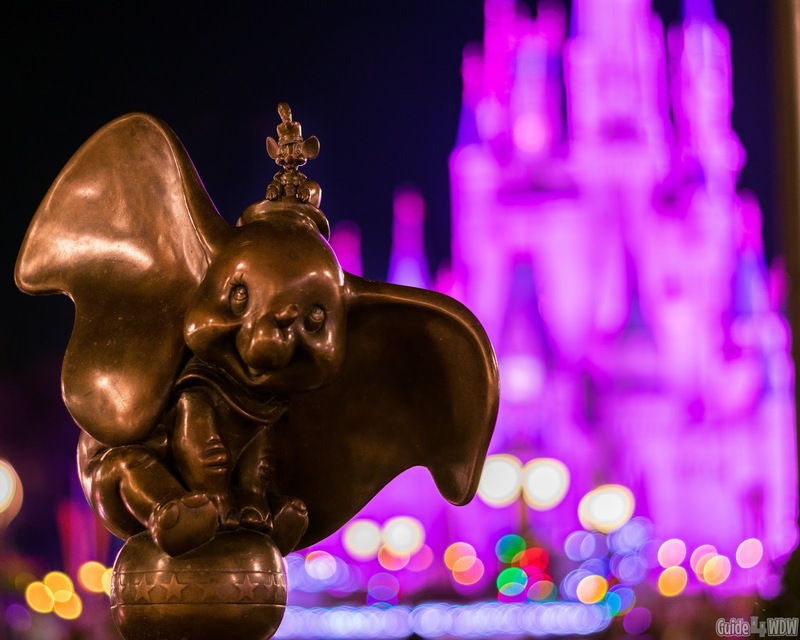 We've had the incredible blessing of being able to "grow up" in the Disney parks with multiple trips year after year and I do understand many guests really want to maximize their time "in the parks" when they're on a Disney vacation. For many it's a once in a lifetime experience and honestly that is rather difficult for me to wrap my mind around at times. Even while trying to look at this list from that perspective it's difficult for me to recommend skipping anything that has made our list simply because they've all been fundamental aspects of the memories I look back on day in and day out in my mind. Again, it sounds so strange and many of these things are rather out of the ordinary at first glance but give just one a shot and you may be surprised at the memories these experiences really help you develop. I'd be lying if I said this list wasn't filled the bias, but in all reality it is the definition of a bias list. These are my memories and the things that have stuck with me year after year and each have done so for so many different reasons. When something somehow, some way, manages to stick in your mind, it tends to be the moments you want to share and find ways to help others develop their own memories of to cherish. Sometimes in life you just have those moments that exceed your wildest dreams and expectations of reality and there's no better way to do that than through a simple night enjoying the under appreciated aspects of Walt Disney World. Miniature Golf the "Disney Way"
If you've hung around the site for very long, you've probably heard me rave about Disney's Fantasia Gardens and Fairways Miniature Golf. The location is one of those places that very few guests have taken the time to try and even fewer have taken the time to a make a night of. Start the night off with a meal over at Disney's Beach Club Resort at the incredible Cape May Cafe (Our full review of that can be found here). After, make the short journey over to Fantasia Miniature Golf by walking towards the Swan and Dolphin. Once the path runs into a pool on the left hand side just past the entrance to the Swan, keep following the path around to the left and there will be a small crosswalk leading across the street to course itself. The whole walk should take 10-15 minutes at most. Once you arrive be sure to check and see if your Disney resort package included a discounted offer for miniature golf. Most vacation packages include a discount offer, but even at full retail price it only costs $14 for adults and $12 for kids. If you're looking for the more themed experience pick the Fantasia Gardens course for unique water affects, themed holes, and an easier course. If you're looking for a challenge, consider trying the Fairways course for an incredibly difficult but shockingly unique experience with massive faux bunkers, rolling hills, and tough pin placements. I know that sounds like an odd description for a miniature golf course, but this is a unique one to say the least. 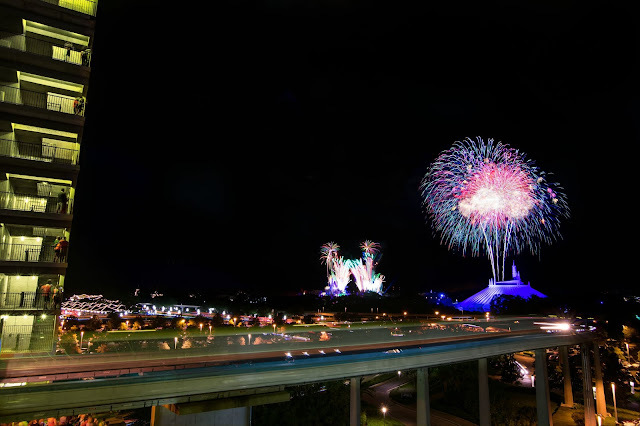 Either course offers an incredible experience for guests of all ages and if you time it just right you can catch a glimpse of the Hollywood Studios fireworks and even a few fireworks bursts from Fantasmic a short distance across the street. All things considered it's an incredibly simple experience but one that has a way of bringing families together and creating jokes and memories that you never would have expected. When your 18 holes are complete, make the short walk back towards the Dolphin and consider stopping at the Fountain just inside the entrance of the Dolphin (on the bottom floor) to try some of the most underrated ice cream on Disney property! 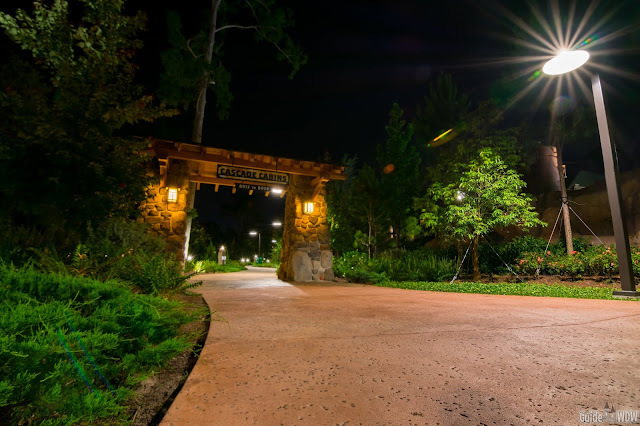 To cap off the evening, make your way over to the Boardwalk Resort to experience one of the greatest overlooked aspects in all of Walt Disney World. 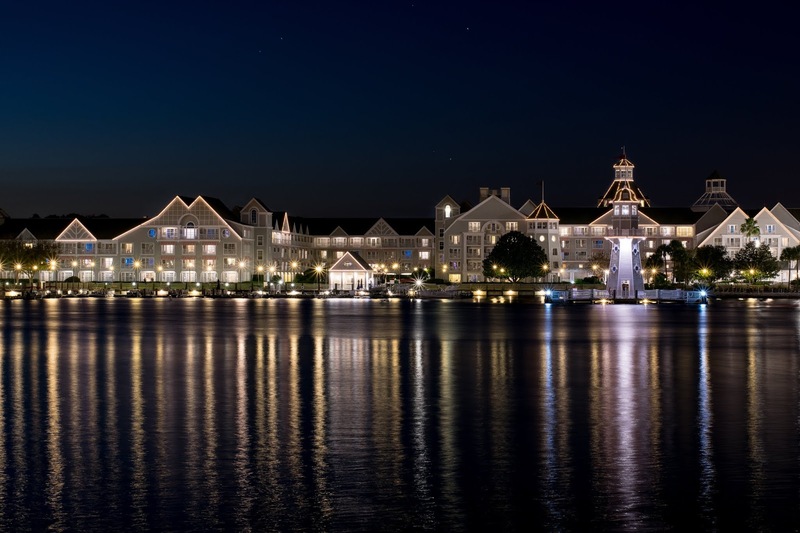 The Boardwalk is a place that so many guests either are die hard fans of or have never even experienced. In my opinion, it's one of the very few hidden gems left in the realm of the Disney Parks and Resorts. The reflections off of the water, the street performers, and the atmosphere as a whole is something you really just have to experience to fully comprehend. 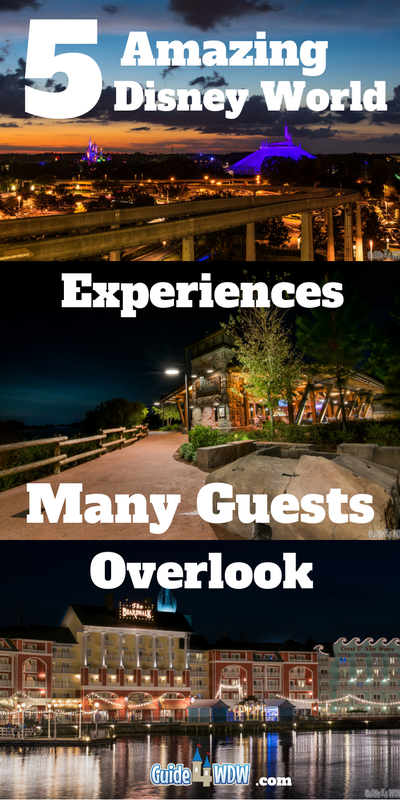 Once again, we're looking beyond the ordinary and to me that means exploring the things that so many guests entirely overlook. Take the time to really dig in and search your resort and the little hidden details of the place you're calling home doing your vacation. Often times, so many guests think of their resort as a place to stay for the night and end up checking out at the end of the week wishing they would have set aside a day to simply enjoy the many amenities of the resort experience. 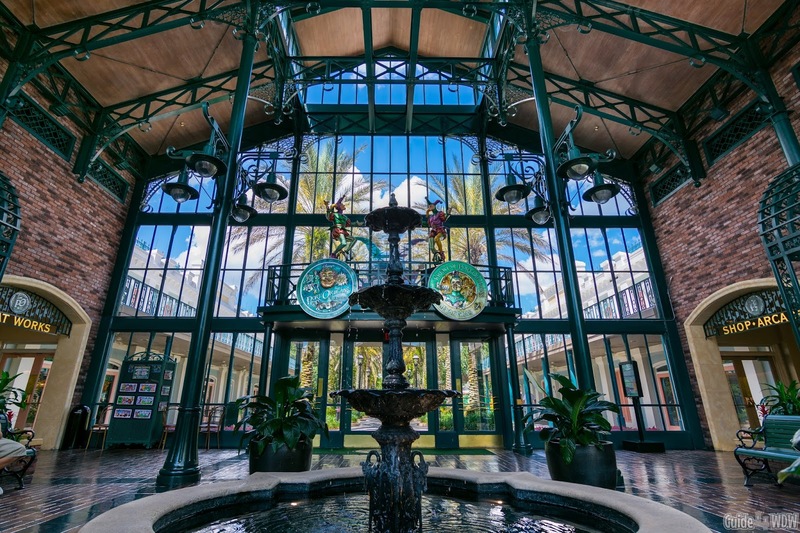 Even if you're not staying on property, resorts like Port Orleans French Quarter and Riverside are a 15-20 minute complimentary boat ride from Disney Springs and offer a surprising array of shows and nightlife that you may have overlooked in the past. Personally, I highly recommend stopping by French Quarter for some Beignets at Floatworks and then making your way over to Riverside to enjoy the odd but spectacular show of Yehaa Bob Jackson at the River Roost Lounge. He's not there every single night but for about an hour and a half his show lights up the lounge with music, jokes, and a good time for adults (and maybe kids) with good clean fun. It's a show that's indescribable in words but well worth seeing in person at least once. I've never caught the full show but even a few minutes will leave you amazed and with a big smile on your face. At the end of the night, you may have to catch an Uber, Lyft, or Disney Bus back to your resort or Disney springs since the boats stop operation at 11:00pm most nights. It's not always ideal but well worth the few dollars to enjoy this gem hiding in plain sight! I know this sounds rather absurd, but a select crowd knew exactly what this meant as soon as they read the subheading of this section. 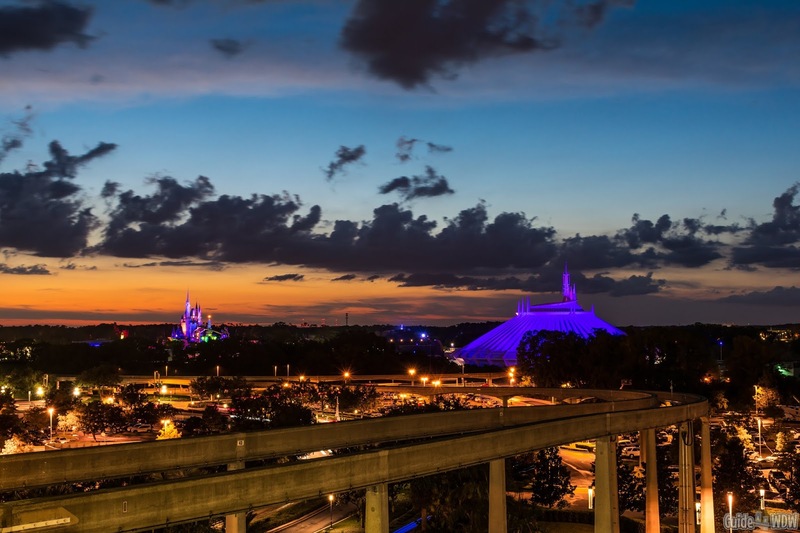 Sitting on a bench at Walt Disney World on a warm afternoon or as a casual sunset explodes above the horizon is one of the most incredible experiences that is truly indescribable in words. As much as it is hard for me to admit it, one of my greatest memories and toughest moments to overcome on my last trip was an hour simply sitting on a bench enjoying the sites and sounds of Epcot on a picture perfect day. The sun was high in the sky, the weather was a perfect 76 degrees with a cool breeze and for a moment life stood still. Everything felt right. That's the simplest way I can explain it but in that moment I wanted to do nothing else. No attraction called out me to go sneak in one last ride, no last minute preparations needed to be done before we boarded our plane home a few short hours later and for an hour I just sat there taking it all in. When the time came to leave I couldn't help but ask myself, "Why isn't this what my life is like every day even if it's just for a few short minutes." As I tried to convince myself to leave, everything in me told me to stay. Not everyone is going to have that yearning to stay in the same way, but I can honestly say that all too short hour or so sitting on that bench just taking it all in was a true highlight of my last trip. I know it's near impossible to do this with kids, but if you can find the time or make the time, find a quiet area and just listen and watch the world around you. It's a simple joy in life and often times those moments of quiet reflection are moments that change the way you perceive the parks. 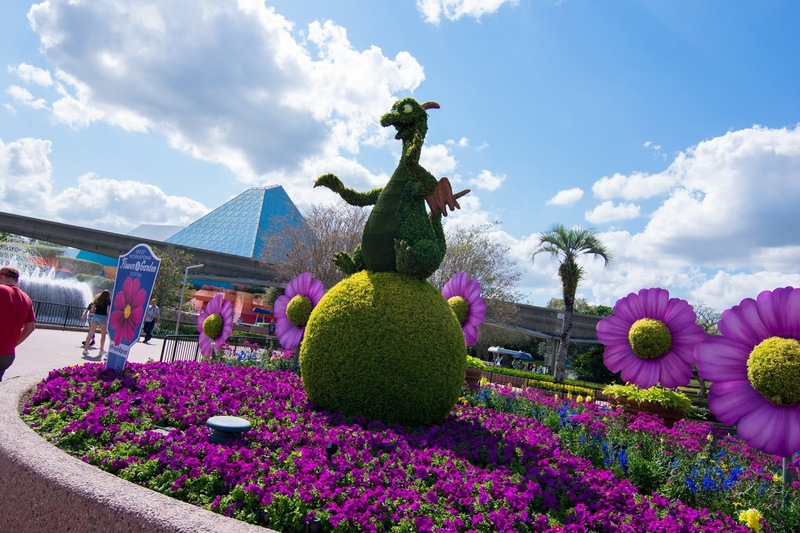 This tip is a difficult one to fully iterate to a first time guest, but one of the many highlights of getting to know the parks and touring them rather frequently is finding ways to tour Disney like a local. It's an odd concept for many of us on the outside looking in, but touring the parks from a different perspective and a perspective of "I can come back whenever I want" is an incredibly freeing experience and one of the many reasons why I recommend buying an annual pass. Take the time during your stay to step back from the go-go-go pace of jumping from attraction to attraction to set aside time to wander leisurely around the parks looking for the little hidden details, the things you've never experienced, and the things you've always wanted to do but never made time for. Jump on a raft and head to Tom Sawyer Island, spend an hour touring Sea Base Alpha, or even take the time to stroll through a World Showcase Pavilion and do so in a more in depth way than you ever have before. Pretend that time is no longer a factor and that your stay is everlasting. When you do it frees your mind to look at things from a new perspective and you'll be surprised at what you uncover. Please excuse the horse racing lingo here (we are from Kentucky after all lol), but at it's very core one of the greatest nights you can spend at Walt Disney World isn't even spent in the parks. 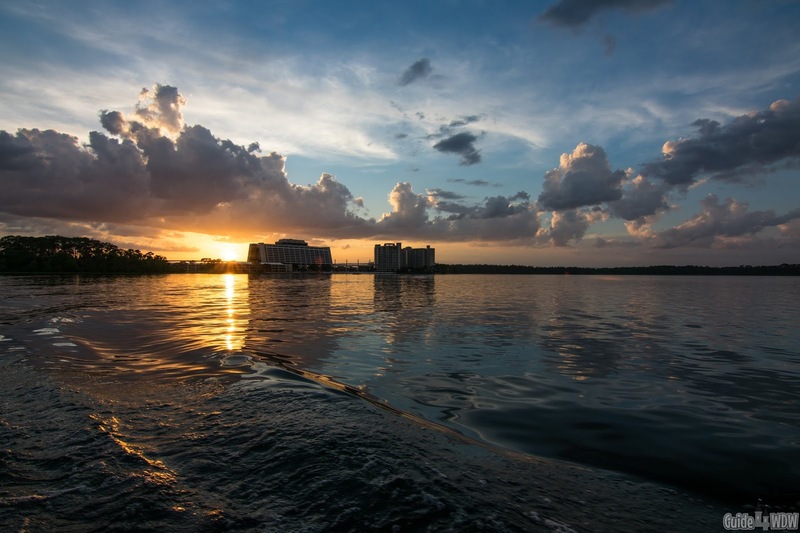 Instead, make your way over to a resort and start what I call the "The Bay Lake Trifecta" - the Wilderness Lodge, The Contemporary, and Fort Wilderness watercraft loop. Start the night with a meal at Geyser Point at Wilderness Lodge, Whispering Canyon, or even the newly renovated and redone Artist Point. At the end of your meal, dive into the little intricacies of the Wilderness Lodge. Dig for the details hiding in plain site both inside and outside of the resort itself. Once you've spent some time wandering and as sunset approaches, board a boat to Fort Wilderness. 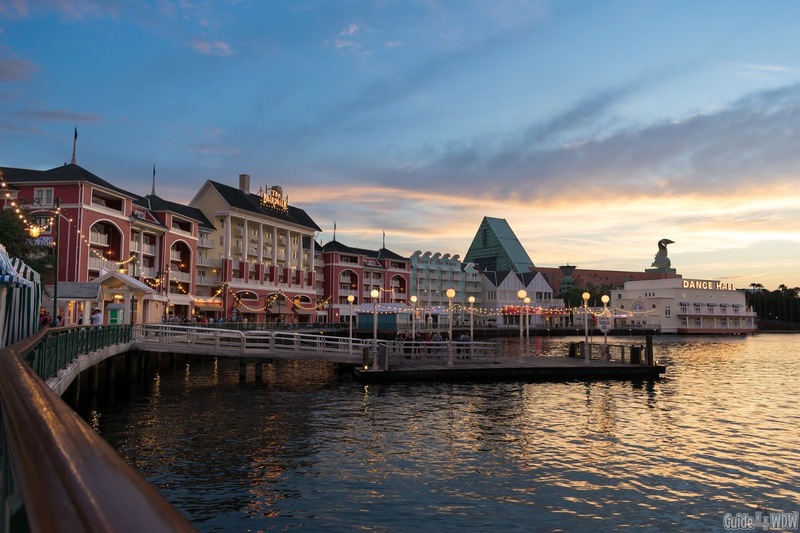 Throughout the year, the campground will be decorated and if nothing else take a moment to "step back in time" before making the final journey over to the Contemporary via that same watercraft transportation. If it's not quite time for the fireworks (it'll all depend on the sunset time for the day and the showtimes), find a snack at the Contempo or even the gift shop bakery counter near by and then park yourself a few floors up from the main observation deck and enjoy an incredible view of the sunset over Magic Kingdom before the Happily Ever After fireworks show takes to the sky. If you really want a unique view take the external staircase up a few floors to escape the crowds and get a much better view of the show. I've always been a believer in the fact that we should all enjoy today because nothing in life is guaranteed, but to me this is the perfect example of doing just that. In so many ways, just sitting on a bench, enjoying a classic fireworks view away from the crowds, and even enjoying a peaceful sunset changes the way you look at the Disney Parks. Enjoying those simple moments tends to slow down your ever racing mind, it pulls you out of the hustle and bustle of the parks, and allows you to sit back and simply let the worries of life drift away opening up the most incredible opportunity to reconnect with family, friends, or whoever you choose to travel with. It's those little moments of "escape from reality" in life that so many of us search for time and time again. It's why we take vacations and it's why so many of us will continue to pay whatever it costs to return to the parks time and time again. It's the same reason so many of us hope to move to the Orlando area at some point in life. We all desire a certain escape in life and everyone has their go-to place to leave the world behind. It may be a bench in Epcot, a seat on a boat on the Seven Seas Lagoon, or even your favorite beach in any number of cities around the world. Disney World may not be your perfect escape but it's a place that I will guarantee is likely to exceed your wildest expectations. I say it a lot but to me nothing exceeds the fact that, above all else, the important part of any Disney vacation is making the most of every minute. 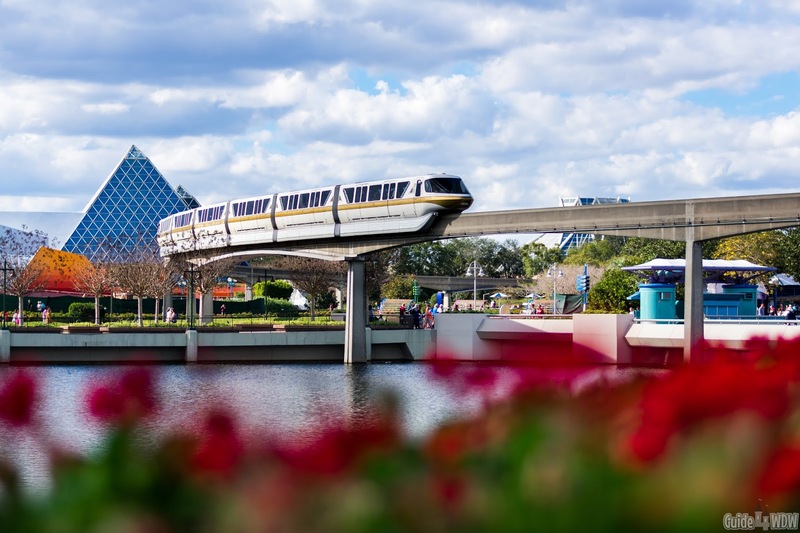 Roll with the inevitable issues that will arise during your Disney vacation and realize that the things you really remember will occur when you least expect it in the most unbelievable way imaginable.